One of Azendoo’s initial goals was to get rid of internal email use. While most of our users are experiencing a massive drop in email usage, it’s still at the center of external communication. Let’s be honest, a lot of important information still transits via emails The most natural way to share information with the rest of your team is to forward it on to them via email. More often than not actions remain buried in your inbox, making them difficult to follow up with. This is the reason we developed the email to task feature. A lot of Azendoo users love this feature because it acts as a bridge between their email and their Azendoo, making it easier to keep track of replies and follow ups. Today we are delighted to announce an improved email to task feature! You can find each email for each workspace in your recently redesigned workspace settings. Pro Tip: Send a test email to each of your favorite workspace and save the new email address as a contact so you don’t have to remember or type the address each time. 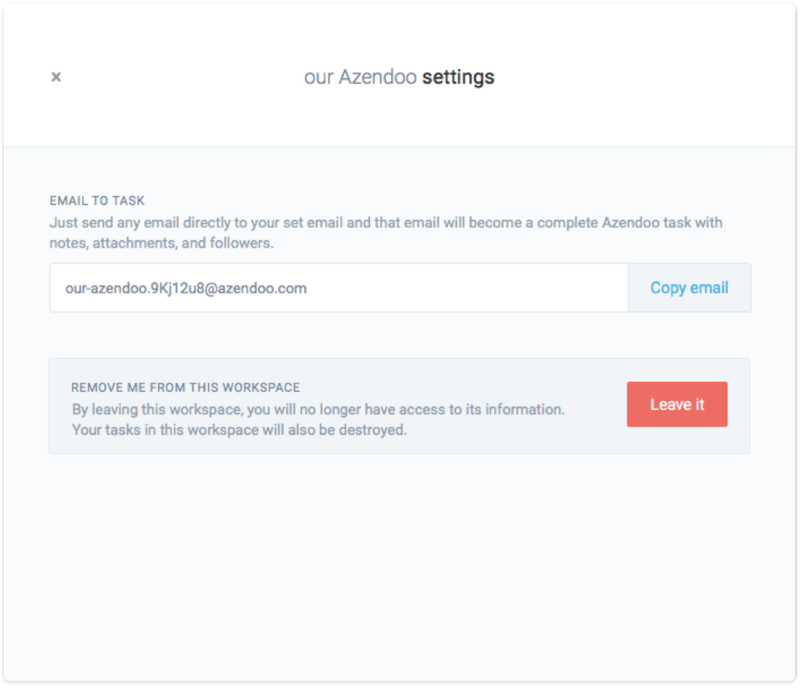 Every email you send to this address via email account linked to your Azendoo (which you can change in the user settings) will be transferred into Azendoo in the form of a Task. This task will be assigned to you by default and will show up in your “tasks for now” in the workspace associated with the email. The subject in email will become the label of the task. This makes it really easy to create tasks from your email inbox! You can also forward existing emails to Azendoo and keep all the information intact, which is a great way of transforming your email into actionable tasks, as well as to sharing information with specific people. 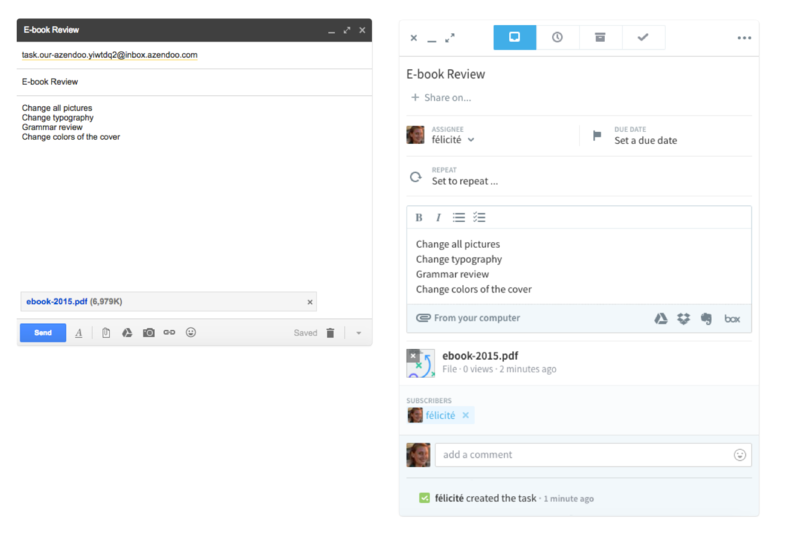 But we wanted to go one step further, and make “email to task” feel like a full integration. This is why you can now delegate tasks directly from your email! To do so, prepare your email as you normally would, simply add the email address of the member of the workspace you want to delegate the task to an additional recipient of the email to task address. Be careful, the email to task must be in the first position, and the email of the member must be in second position. Also, you can now add followers to your task directly from the email by adding their email addresses (the ones they use for Azendoo) as copy (cc:). You can now easily create a task from an email you are sending - making it easy to keep information within hand's reach of Azendoo. To do so, write your email as usual, except this time put the “workspace email to task address” in copy (cc:) or hidden copy (bcc:), depending on whether you want the recipient(s) to know you created a task or not. Once the email is sent, it will automatically create a task for you, with all of the information attached (please see above). 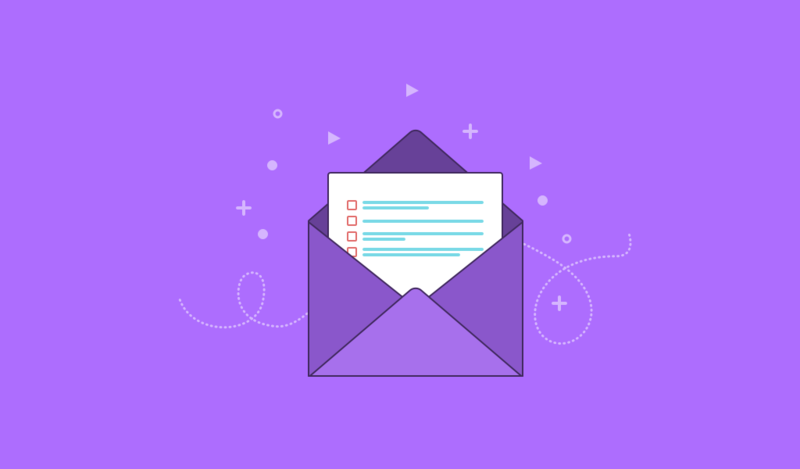 There are many great uses for this feature : follow up on an important email, sharing email's content with other team members, transferring attachments to Azendoo, and so on. We don’t want to spoil you too much before Christmas but just to let you know we have some more features coming soon!